Dundalk Sub-Aqua Club was set up in 2001 by number of experienced local divers who joined together to pool their knowledge of local/national dive sites and diving experience achieved in other clubs north and south of the border, but who felt it was time to bring it home and set up our very own dive club. Since then the club has grown from strength to strength, taking on new people every year for training. 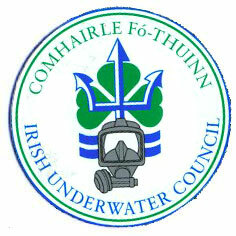 Dundalk Sub-Aqua Club has a vast wealth of experience and qualifications amongst its members, ranging from Monitor One Star, Leading Diver, Search & Recovery Diver, Club Diver to Trainee Diver. Some of our members have been diving for up to 25 years and they contribute an enormous amount in terms of knowledge of local/national dive sites as well as experience in how to keep the club a vibrant and active one. We try to keep the 'dive season' active all year round and not just when the weather is favourable as this keeps the momentum going and gives our divers experience in poorer conditions which may be of benefit if they wish to pursue the search and recovery aspect of our club. You will see us quite frequently on the shores of Greenore Co. Louth at the entrance to Carlingford Lough getting ready to launch our boats for a dive on one of the many dives sites in this area. We are spoilt for choice in the Lough as there are a total of nine dive sites to choose from, be it wrecks, reefs, or drift dives. But just as you want to jump into your boat now to dive 'The Lough,' be aware that this area is extremely tidal and has dangerous currents, so our dives have to be carefully planned to ensure a comfortable and safe dive is enjoyed by all. In between local diving we occasionally travel further afield to dives sites in Donegal, Rathlin Island, Strangford Lough, Scotland and other areas too numerous to mention, and we are very partial to an odd holiday abroad, be it Spain, Croatia, Dominican Republic or Red Sea we like to broaden our horizons. We hold our training lectures in St Vincents School on a wednesday night at 7.30pm followed by pool training in Dundalk Leisure Centre pool at 9pm in the winter time, but move on to Greenore as soon as the evenings get brighter. We have a vast array of equipment within the club, from boats to compressors, to GPS systems, emergency AED & O2. The club also has an active Search & Recovery Unit. Our unit is going from strength to strength with the addition of new equipment to enable us to carry out searches more effectively and safely. In recognition of our services to Search and Recovery we were awarded a 'People Of The Year Award' in 2006 for Co. Louth. This was voted on by the people of Co. Louth.